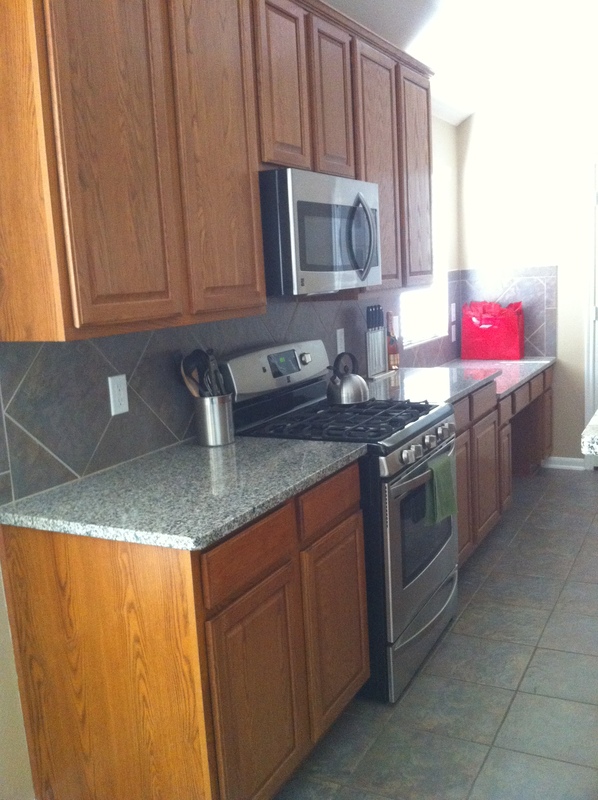 Have you ever thought about renovating your kitchen cabinets? I did! 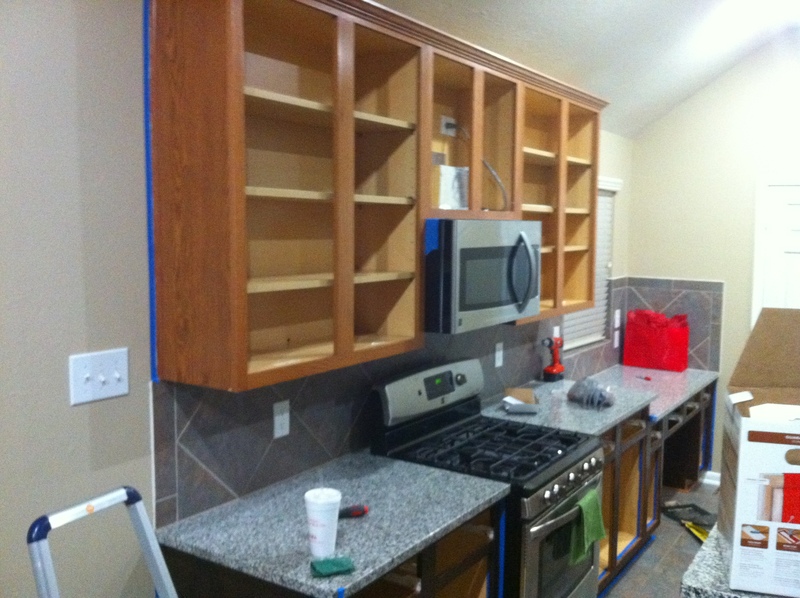 I talked to a couple contractors and was quoted anywhere from $3,000-$5,000 to get my cabinets refinished. We just moved in and with all the furniture expenses, my husband and I decided to take the task on ourselves. We moved into the house two years ago and the owner before us had oak cabinets. I was definitely not a fan of it! 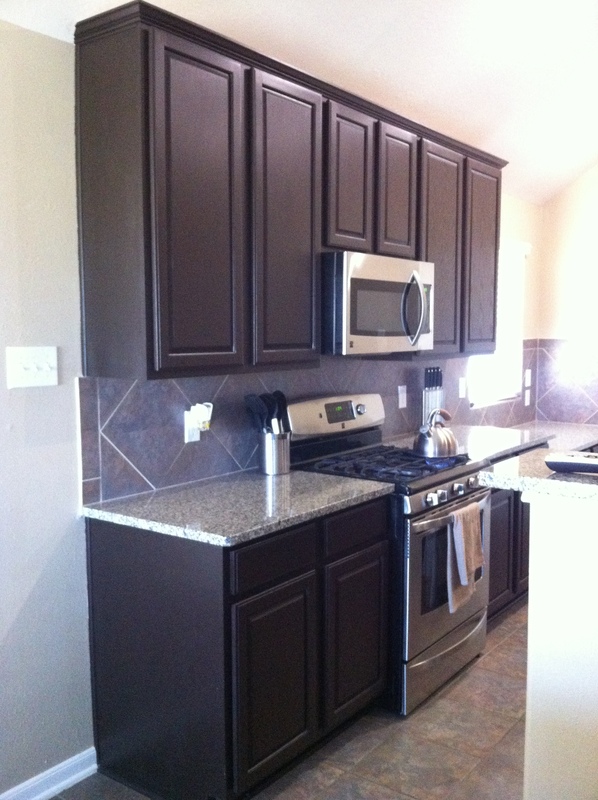 I always liked a contemporary style kitchen, with dark color cabinets. So we decided to visit Home Depot to look for the color we wanted to use and stumbled upon an all-in-one cabinet transformation kit. The husband and I knew that purchasing this kit will save us a lot of money and yet still be a fun DIY project. Before I start explaining the few easy steps, let me show you how our cabinets use to look like. Step 1: Wipe off the cabinets with a microfiber towel to remove any dirt or dust. Step 2: Apply the de-glosser onto a scrub pad and thoroughly clean the cabinet/door/drawer to de-gloss the surface. Step 3: With a paint brush, apply the bond coat with even strokes along the lining of the wood. (I applied 2 coats for the dark color I was looking for). Step 4: (Optional) I applied the decorative glaze to give it a little glossy look. Without the glaze, the wood looked too dry for my taste. Step 5: Brush on the protective top coat for a long lasting, durable finish. Here you go… Now you got yourself a new kitchen. You can then add in cabinet knobs or glass cabinet doors to give it a more modern feel. Thank you for reading. 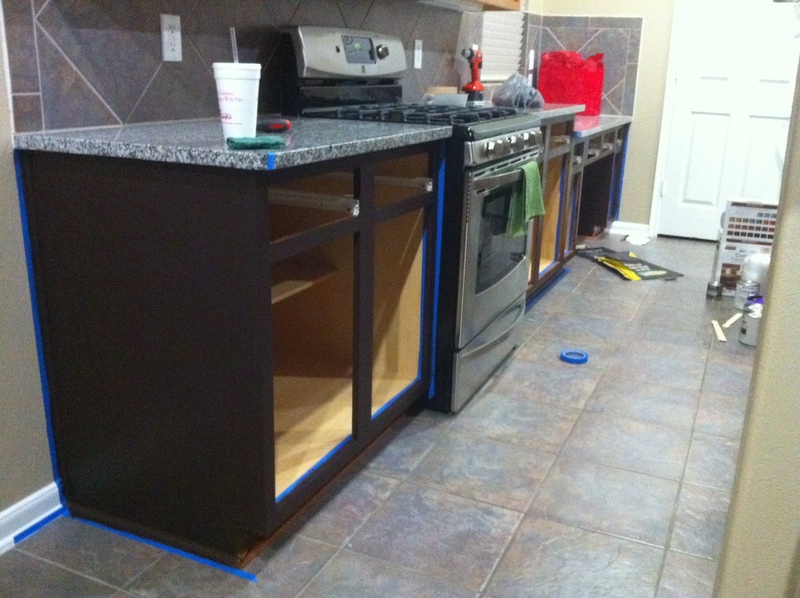 This entry was posted in EMBELLISH and tagged DIY, Espresso Paint, Glass Cabinet Doors, Home, Kitchen Renovation. Bookmark the permalink. Amazing job, definitely going to show this project to the misses. Definitely glad I stumbled upon your husbands thread in regard to this DIY project! Thank you so much for reading. Remember to follow my blog. There will be more DIY project in the near future. Did you not have to sand the cabinets at all first? We have already bought our kit, but we were thinking we need to take the doors off and sand everything all down first. Our current cabinets dont have a glaze. 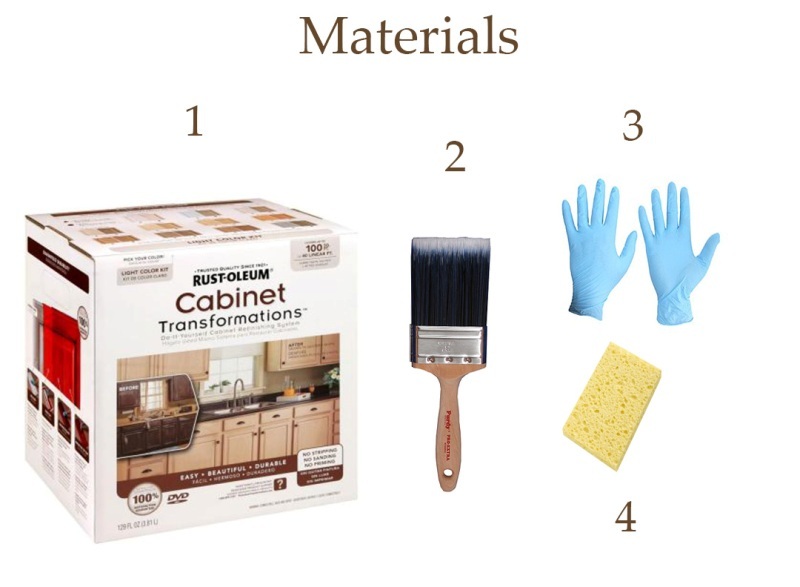 Take the cabinet doors down and apply the de-glosser on the cabinets and scrub the area you are planning to refinish. Inside the box is a instructional DVD on how to follow the steps. I am not sure about the sanding part, I did not have to do that for my cabinets. Please let me know if you have further questions and if you need me to take close up pictures of my cabinets. Thanks for reading! How long did it take to complete the entire project? It only took me & my husband to complete the project in 4 days.